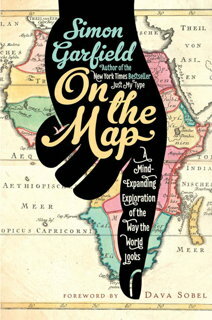 On the Map: A Mind-Expanding Exploration of the Way the World Looks, by Simon Garfield: A history of maps and how they got that way. I liked this book in theory but was very turned off by how Euro-centric it was. Garfield makes glancing references to maps from Asia, but he spends the majority of his time talking about maps by Europeans and sometimes Americans, and it started to frustrate me. And he jumped around so much from a map's creation to current debate around its accuracy to contemporary beliefs about the world. It just wasn't what I wanted to read. I didn't finish it, and am not sure if I will pick it up again. Note: I received a complimentary galley of this book to review. 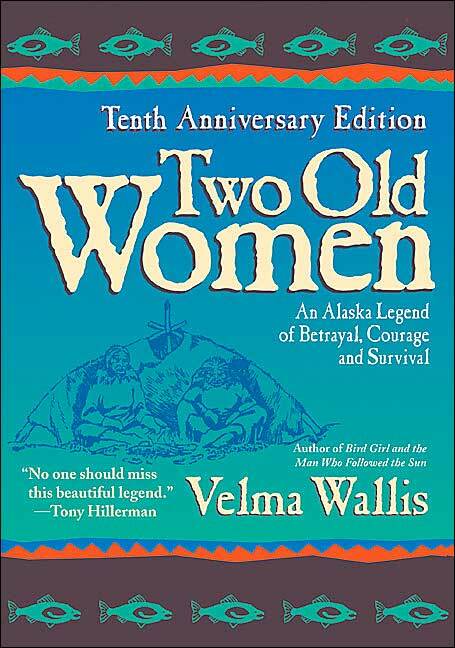 Two Old Women, by Velma Wallis: An Alaskan folk tale about two women in their 70s who are abandoned by their tribe and have to survive on their own. It's a short book and not exactly ground-breaking - the expected lessons about self-sufficiency, working even when it hurts, etc. come through here. But there's often a theme in books written before, say, 1950 or so (just to wildly throw out a date with zero reason for doing so) about people feeling so much better about themselves when they can be useful, and that comes through well here. Also a great, light introduction to Alaskan culture. One Upon a Time Machine, by Andrew Carl and Chris Stevens: Jill was kind enough to send this book to me after she finished it because she knows how much I enjoy graphic novels and fairy tales. Once Upon a Time Machine is a collection of fairy tale and folk tale retellings set in outer space. It's a compilation of stories by many authors and illustrators, so it is inevitably hit and miss. In a Chronicles of Harris Burdick way, some of the re-imaginings were just one-page illustrations. I thoroughly enjoyed the story of Pinocchio and a few others. 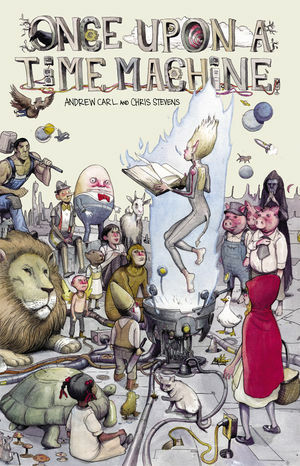 A good one if you like fairy tales and science fiction and graphic novels! Bel Canto, by Ann Patchett: I must admit I don't know what all the fuss is about on this one. I did it in an audiobook format, and maybe that was the problem. But I just feel like nothing happened and then suddenly a bunch of stuff happened and then the book was over and I was just left reeling trying to figure out the consequences. Whoa, Stockholm Syndrome, you mess with people in a big way. Not sure that you will believe me when I say that this novel about a terrorist organization harboring 50+ fugitives from all over the world was very slow-moving. If you want to know more about hostage situations, I recommend watching the movie Argo instead. 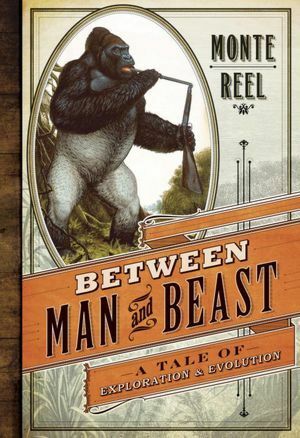 Between Man and Beast: A Tale of Exploration and Evolution, by Monte Reel: A biography about Paul DuChaillu, a Victorian era explorer who brought knowledge of gorillas to the Western world. There were a lot of interesting facts presented in this book - for example, there is speculation that Victorian explorers were so high on quinine, laudanum, and other drugs all the time that their descriptions of the areas they traveled are probably hallucinatory and not completely accurate. Monte Reel parallels DuChaillu's path with the evolutionary debate in an Erik Larsen manner. He makes some effort to bring an air of tension and mystery to the book by hinting at DuChaillu's past, but not telling us anything about it until late in the book, but this effect is spoiled somewhat by Reel not giving this late reveal much space at all, so we find out this great dark secret but know nothing about its impact on DuChaillu's life. The book does provide an eye-opening (and very disturbing) look at the way Victorians tried to use the theory of evolution to explain racial superiority. Also upsetting in the number of animals killed just for rich Europeans and Americans to see. Note: I received a complimentary galley of this book to review. It will be released in March 2013. My sister really likes Patchett, so I thought I'd enjoy it. I like her writing style, but I just wasn't expecting what I got. aw sorry you guys don't like Bel Canto I agree that it's a slow book, but it didn't bother me. I mean it did at first, but I sort of thing that was the point...something like that seems like it would feel bigger and larger than the actual mundane reality. Plus, I just loved all the stuff about music, etc. I still want to see Argo, tho! I've never read Patchett but I have to say that she doesn't really appeal to me - although I have State of Wonder to try at some point in the future. It's a shame On the Map was so Eurocentric, as it's a great concept for a book. I am planning to read Once Upon a Time Machine at some point. I am curious! Stopping by really late to say I don't get all the fuss about Bel Canot either. I did however read State of Wonder last year and really liked it. There were still some oddities in it - like the strange ending - but for the most part it was good.